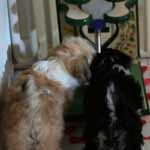 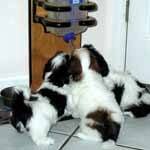 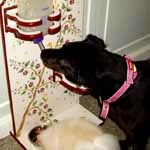 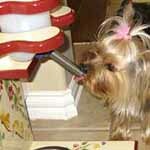 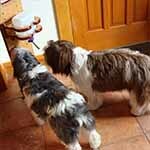 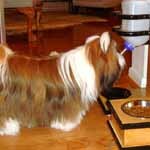 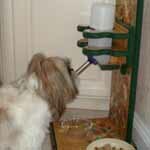 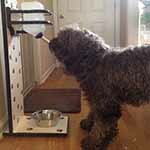 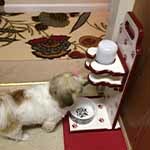 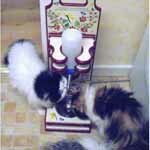 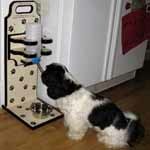 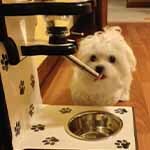 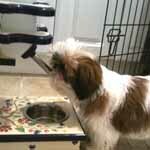 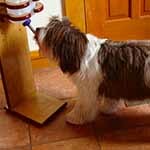 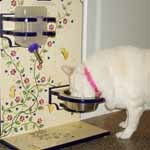 Our Small Pet Dinettes will raise your small pet’s food off the floor in a very eye-catching way. 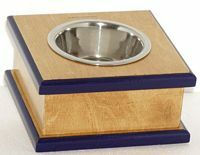 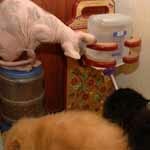 The wooden boxes are solid and heavy with rubber feet to keep it from scooting across the floor as the pet eats. 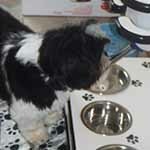 The food bowls are stainless steel and dishwasher safe and are the smart and best choice for pet food products as they can be easily cleaned and sterilized when needed. 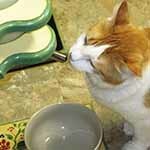 Stainless steel bowls are beneficial to all pets but especially for cats as they have been known to develop *feline acne (which can become a serious problem if left untreated) when using plastic bowls. 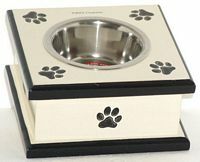 Custom 3-Inches See Above 3" x 8" x 8"
Custom 4-Inches See Above 4" x 8" x 8"
**Stationary Height for Food: From the floor to top of food dish rim. 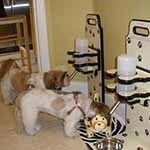 SPD’s are an acronym for the Small Pet Dinettes and are for Indoor Use Only. 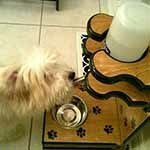 A stylish, classy and perfect food dinette for your small pet!